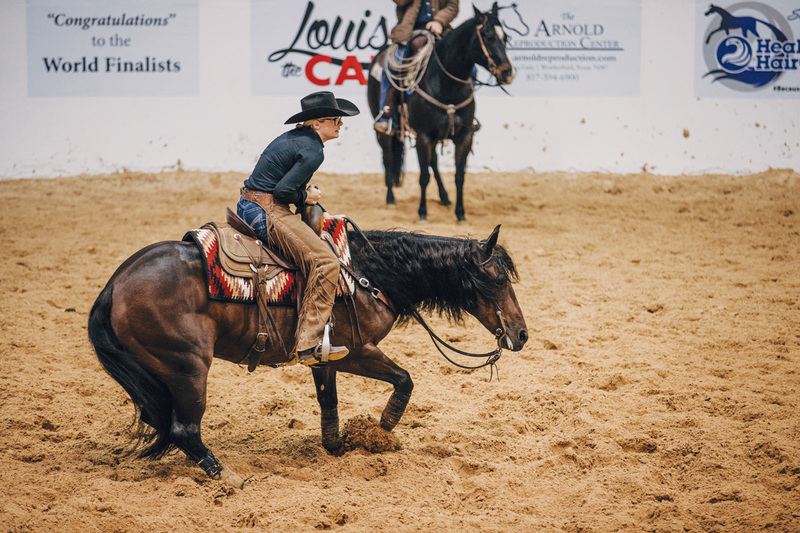 Congratulations to Wembley, Alta., cutting horse competitor, Amanda Smith, who won the $25,000 Novice Non-Pro World Finals at the National Cutting Horse Association (NCHA) World Finals in Fort Worth, Texas, on her gelding, Im Short And Smooth. She thanked her trainer, Dustin Gonnet, of Cayley, Alta., as well as California horseman Eric Wisehart, who also helped her during the year, and those who assisted her in the pen during the World Finals. Smith is grateful for the encouragement from her boyfriend, fellow cutter Darcy Geherman, who convinced her to keep hauling and go to the World Finals. Smith will show Freddie in the Non-Pro at a few shows in Alberta, but she’s looking forward to being at home a bit more in 2019.